ordering. Carry-out only. Promotional value expires 30 days after purchase. Throw a 4th of July party to remember with 50% off a Mexican catering package from Taqueria Rancho Alegre in Roselle ($69 value). 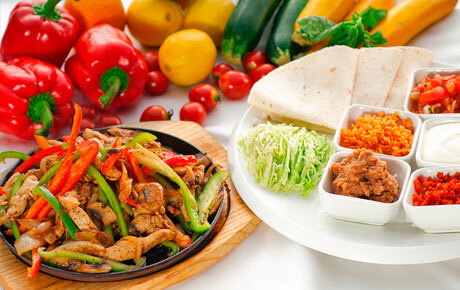 This party pack includes enough side dishes, rice, refried beans and salsa for up to 10 people. Taqueria Rancho Alegre has been in business for just two years but has already made a name for itself as a popular stop for delicious Mexican food. Make sure your 4th of July fiesta is the best on the block with this festive deal.